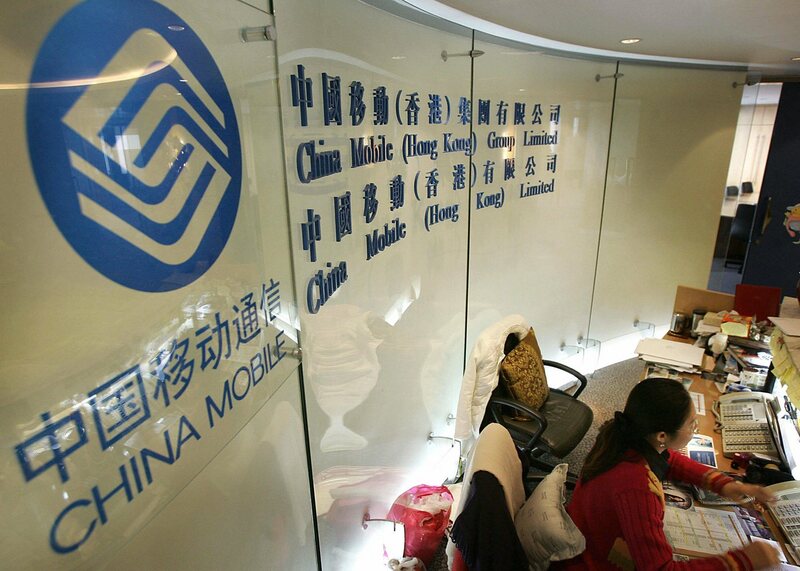 China Mobile remains the world’s largest telecom operator by a stretch, according to a report from Wireless Intelligence which pegged it at 683.08 million subscribers, a significant margin ahead of second-placed Vodafone (386.88 million customers). 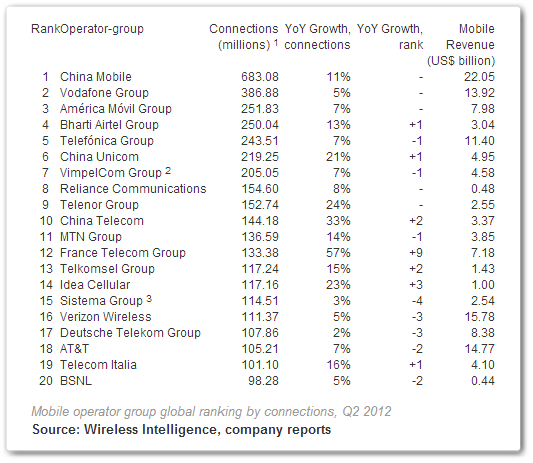 The data and analysis firm pulled together the cumulative customer base for the world’s top operators during the second quarter of 2012. Asia dominates the top ten ranking, and it is notable that India’s Bharti Airtel Group passed 250 million subscribers to move into fourth place. Equally worthy of mention is the fact that all three Chinese operators rank in the top ten for the first time after the country’s third operator — China Telecom, which saw 33 percent subscriber growth year-on-year — was the report’s biggest riser, jumping two places to tenth, courtesy of its 144.18 million customer base. Other global giants featured in the top ten include Latin America’s América Móvil (third), Spain’s Telefónica (fifth), Russia’s VimpelCom, India’s Reliance and Norway Telenor, which came in seventh, eight and ninth respectively. China Mobile also topped out on revenue, hitting $22.05 billion, according to Wireless Intelligence, which ranks Verizon Wireless ($15.78 billion), AT&T ($14.77 billion), Vodafone ($13.92 billion) and Telefónica ($11.40 billion) next. While it is head and shoulders above the rest of the pack, state-owned China Mobile is being chased by smaller rivals China Unicom and China Telecom, both of which are making significant 3G subscriber gains. That’s aided in no small part by deals to offer the iPhone, something which Hong Kong-listed China Mobile does not have. However, as of March, China Mobile did have 15 million iPhone users on its network. As well as 180 million users in India, Bharti is active in 17 markets in Africa, where it serves more than 50 million customers and holds 12 3G licenses. It has businesses in two other Asian countries. Emerging market operators dominate the subscriber numbers but comparatively lag their Western peers as their customer are less likely to be big spenders or smartphone users, however a shift is continuing to occur. Strategy Analytics last week claimed that there are now more than one billion smartphones active in the world. The analyst firm is anticipating continued development in growing markets and it believes that the figure will double to hit 2 billion by 2015. China passed 1 billion mobile devices this year, and India reached 929 million active phones in July. In addition to Asia, both Africa and Latin America are seen as regions with significant potential. Further details of the report can be found on the Wireless Intelligence site, while you can find last year’s report here. Note: China Mobile’s latest subscriber numbers are at 698.5 million, but of course the figures for the report were taken at the same time across the board.